Wargroove has gotten off to a flying start since launch (and rightly so in our opinion) and things are only getting bigger and better as players get their heads around the game's map editor. Not content with simply messing about with the available tools, some players are going as far as recreating memorable scenes from the likes of Fire Emblem and Advance Wars - the game from which Wargroove draws so much inspiration. Reddit user HalcyonsGlory is currently working on a project which will recreate all 34 maps from the original Advance Wars game. The maps are near identical to those found in Advance Wars; HalcyonsGlory notes that the only difference is the fact that players can't move onto buildings in these recreations as Wargroove doesn't allow this to happen. The first four maps are now entirely complete and ready for other players to play, with the rest following soon. You can see the first maps side-by-side below. Elsewhere, Kotaku reports that players have been recreating levels from GBA title, Fire Emblem. 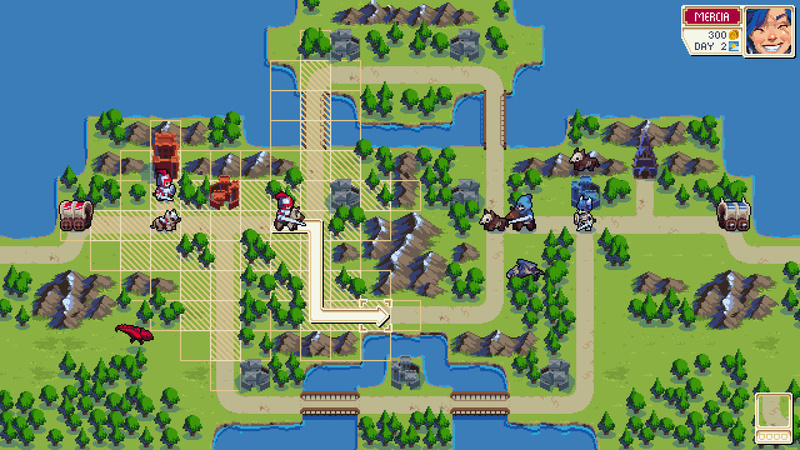 Fire Emblem's use of unique character units means that these recreations can't be as close to the original as the Advance Wars recreations, but that hasn't stopped players from creating impressive renditions of various maps such as the first ten chapters of Lyn's story mode. 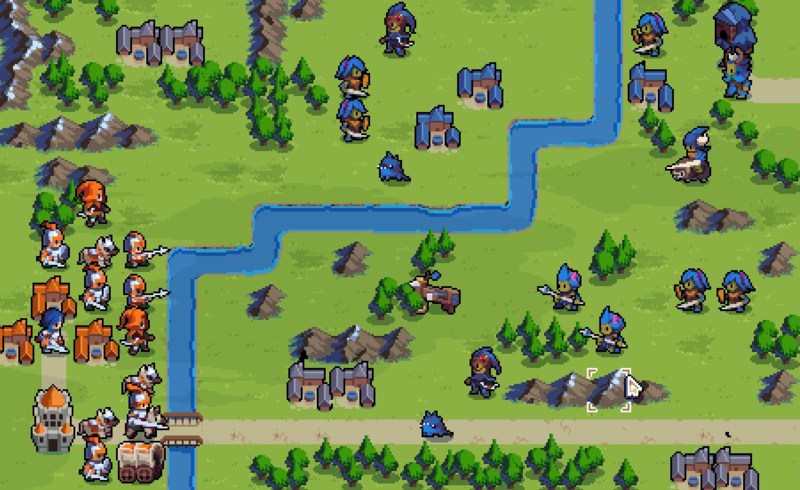 If you have a copy of Wargroove sitting on your Switch, you can try out these fan-made maps yourself, even if you haven't made it through the game's tricky campaign. Simply head to the game's custom content section and choose whichever one takes your fancy; HalcyonsGlory's first four Advance Wars maps can be found with the following code: 6FK77AS6. With DLC and quality of life improvements on the way, Wargroove is fast becoming one of the standout releases on Switch. Have you tried it yet? Are you itching to give it a go? Let us know in the comments. I knew this would be coming soon enough. Excited to try it! Also wish I had enough time in my life to dedicate to something like this. This almost makes me wish I liked tactics games. It looks like they did a nice job, and the map creation combined with cross-playform play is a massive bonus. I hope everyone else enjoys it. Begs the question... why not just go play Advanced Wars? Like Wargroove and I think it stands on its own. This seems pretty great. I've never really got into these type of games before - but with Wargroove I'm going to give it a go. Very much enjoying wargroove. I hadn’t actually thought of recreating AW in the editor (doh!j very cool. Not unexpected, but very cool nonetheless! @NotTelevision Because playing those games requires either breaking out older hardware, or downloading roms and playing on PC. Not exactly difficult, but not exactly convenient either. Advance Wars absolutely does stand on its own, and if they ported it to Switch, I'd rebuy it in a heartbeat. Both GBA games and the DS games. Same with the GBA Fire Emblem titles. I think it's worth noting that side by side, 18 years after it came out, the Advance Wars visuals still have more charm. That's quite something. Sweet! I was hoping someone would start doing this. I will get these maps. It wasn't gonna take that long for this to happen. Loving the game so far, wish i had more time for it though. Wanna beat the game and then start making mini campaign's and share em and play others. So you don't actually get money for any Bases / Airports / Ports, only for Cities in Wargroove. So some maps from Advance Wars might not work as well. You can get Advance 1, 2, & Dual Strike on the Wii U. For those who still love and play with Wii U of course. Going to get this game on the day its in sale! I hope Chucklefish make a fortune out of this. Shutting down the Advance Wars series was inforgivable on Intelligent System's part. I'm actually more excited to try these Advance Wars levels than the story mode. I wish Intelligent Systems would take a break with Fire Emblem after Three Houses releases and put out another Advance Wars title. 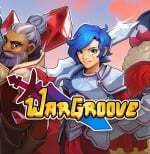 I am interested in Wargroove and I will buy it, but I'm a little tired of medieval turn-based war games. I miss being able to use modern weaponry. The game Tiny Metal helps satisfy that itch, but the only issue is every single map in that game is Fog of War (and the cutscenes are WAY too long). 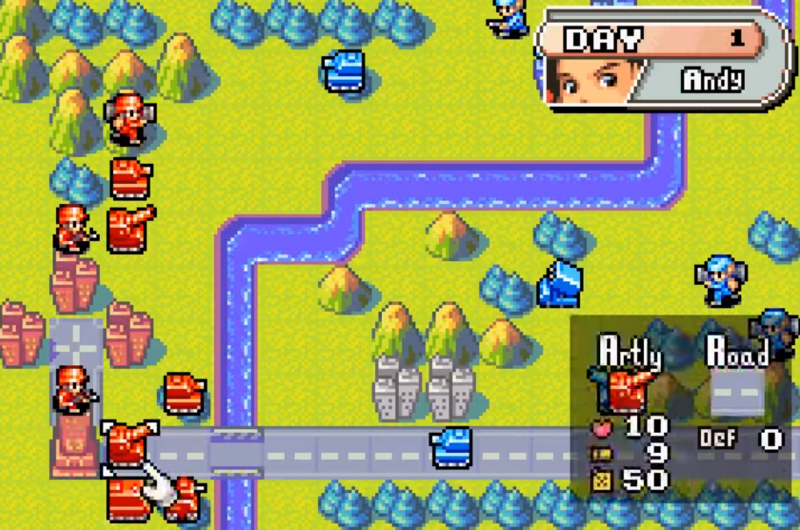 I want a new, proper Advance Wars title. @DarthFoxMcCloud Don't expect too much when it comes to comparisons to Advance Wars. While it's true Chucklefish took inspiration from AW, they're nothing too alike. I would say it feels totally odd to do this since the mechanics are different. Still a pretty good game though. @NotTelevision Well, for me, it's twofold: I don't have the carts to Advance Wars anymore, and I have WarGroove installed already and don't have to go out and buy those carts. Plus, I can play the maps and whatnot on Switch in HD, instead of on my GBA SP or DS. @Iacobus I got them on my GBA/DS as well as what I could off the Wii U Virtual Console. But yeah, I'd love it if Nintendo would release a compilation of all the Advance Wars games on the Switch. Obviously the DS versions would need a tweak since those games were made to take advantage of the dual-screen setup, but it could be done. They'd definitely sell and would be a good way of testing the market for an all-new game in the Advance Wars series. @DarthFoxMcCloud Even though I also still play the AW games, I would definitely be up for an AW compilation for Switch including online play. I dont think it would take a huge team to make it either. I saw a couple and downloaded them last night. I’m hoping someone creates a thread here to recommend the best user created maps. Loving the daily NL posts about the game for now though. Also unforgivable is that they removed the AW Assist trophy in Smash! @RadioShadow I know. I have them. But my TV only has so many HDMI ports. So I don't keep my Wii U hooked up anymore. Also remember not many people even owned the Wii U. Get a 5 Port HDMi Switch Splitter. Works like like a charm, and I can keep my Wii U attached! @RadioShadow Nope, no they don't. I have used 3 different HDMI splitters on 3 different TVs. I always run into the same problems. At totally random intervals, the signal flickers and cuts in and out. Sometimes it will be fine for a few days. Sometimes it will cut in and out every 10 seconds. I've done a lot of searching for solutions to this issue. There aren't any. It is related to a security feature built into HDMI. HDMI cables just aren't designed to be put through a relay like that. @dystome I adore Advance Wars, but I would argue that Wargroove easily lives up to it and matches it for charm. @RadioShadow On my main TV, I limit the number of consoles I hook up to them because cable management and clutter becomes a huge pain. (Also the occassional tech issues that Heavy mentioned)The Wii U had some good games, but a lot of them keep getting ported to the Switch, and there are not enough of these guys that I play with enough frequency to justify pushing off my GameCube, PS2, or other modern consoles to make room for it. Not to mention, I can actually carry my Switch wherever I want. So I'd much prefer my SRPG, JRPG, RPG, and retro titles on my Switch. It's just more convenient. This is why you see so many of us asking for ports and remakes on the Switch. AW Dual Strike had a great achievement system though, would have loved that here too.... although my personal favorite was the Days of Ruin. I guess I'm alone with that, loved that gritty style. What about all the maps you could buy in the Map shop? I wonder if all those Multiplayer will be recreated? I am glad Wargroove is doing its own thing though, cutting its own groove so to speak. @Heavyarms55 Perhaps is does overall, I meant specifically looking at those two screenshots of the same map design in this article. The people who're recreating FE maps probably don't understand what those games are about. I would love to see a new Advance Wars after FE three houses. Or at least collections of older FE and AW games. Make some Shining Force levels while you're at it.